Welcome to the website of the 30th division, 117th regiment re-enactment group. 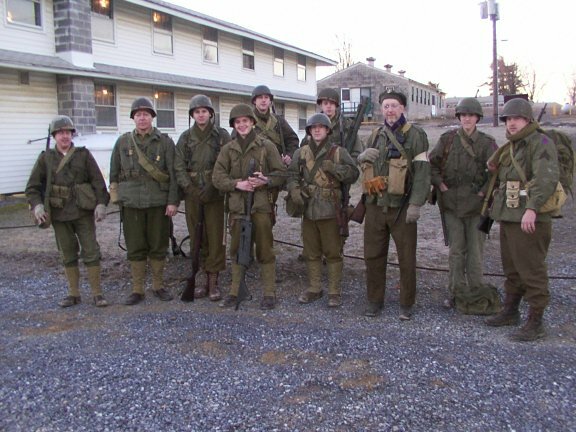 We are a World War Two re-enactment group based on the east coast with members from PA, NJ, DE, MD, and VA. The 30th division fought as the workhorse of the Western Front in the European Theater of Operations during the war and was known as "Old Hickory", after the president Andrew Jackson. The division was also known as "Roosevelt's SS Troops", labeled so by German high command. 30TH DIVISION, 117TH INFANTRY REGIMENT L COMPANY WELCOMES YOU!